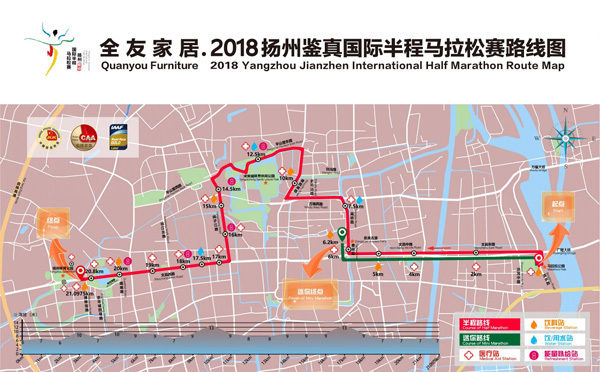 The map shows that runners will start from the city's Marathon Park, go along Wenchang Road, and bid farewell to their mini-marathon partners at the Dongguan Ancient Ferry. They will carry on along Gaoqiao Road, Wanfu West Road, Shouxihu Road, and Pingshan Pavilion East Road to the end of their first 12 kilometers at the Songjiacheng Sports Leisure Park. 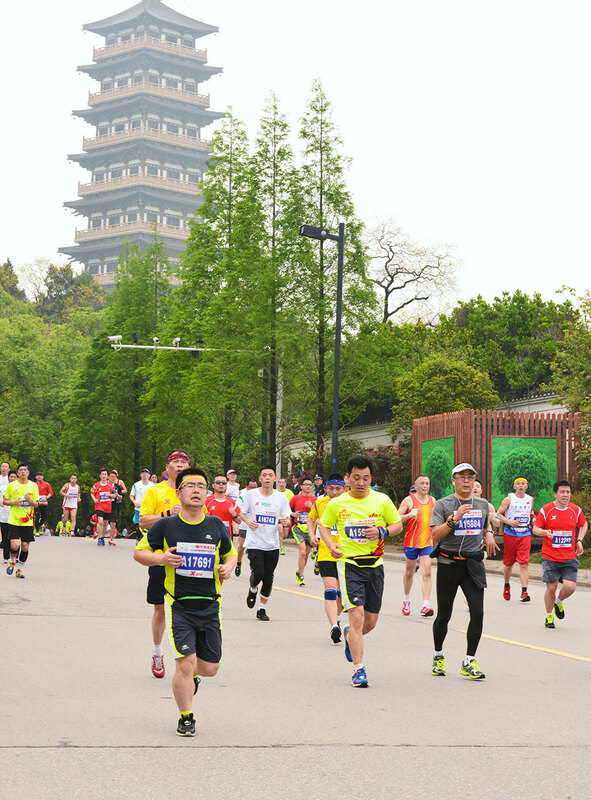 Before turning back to Wenchang Road, an arterial road of the city as well as the event, runners will run for a few minutes along Yangzijiang Road, and finally end their contest at the Yangzhou Sports Park. 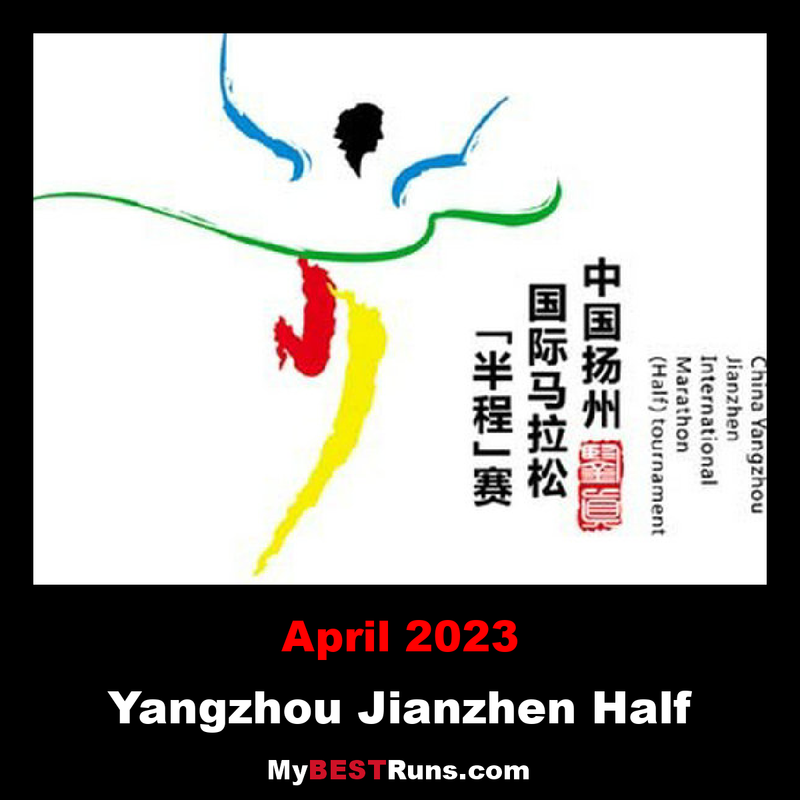 The Yangzhou Jianzhen International Half Marathon is the only half marathon in China that has won the title of "IAAF Gold Label Race". The race is held in honor of Yangzhou-born Tang Dynasty (618-907) monk, Jianzhen.